This camo sweatshirt for $20. These leopard jeans on sale for only $12! These $20 trendy snake mules. These suede ankle booties for 50% off - and cute for spring! This “pop of color” sweater for spring - and it’s under $40. This colorful striped sweater for only $42. This striped cardigan on sale for $21. This pink trench coat on sale for 40% off (also in classic black and tan). This classic hoodie sweatshirt for 40% off. These black skinny jeans on sale for $22. These cute sneakers for only $30. This cardigan on sale for $15 - in a lot of great colors. This comfy tunic sweater on sale for $21. This floral wrap dress for only $40. I shared some great affordable spring totes for under $100 HERE. 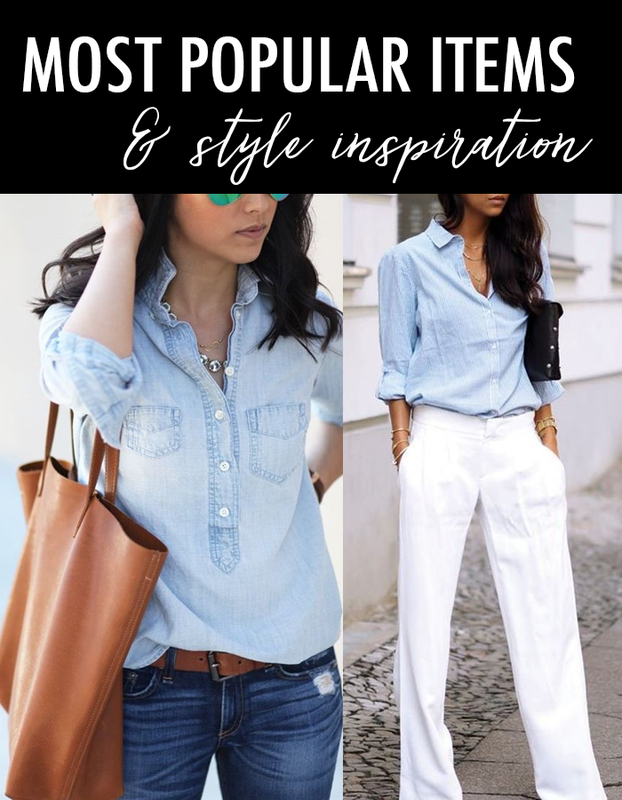 Ooh, loving all the blue hues in this post! I'm ready to break out some of mine again for Spring. Love it paired with white. I love how the leg styles of pants are changing to wider! I really like the popover style of the top left shirt. Those white pants at the top are gorgeous! How I wish I were taller and thinner and could pull that off!